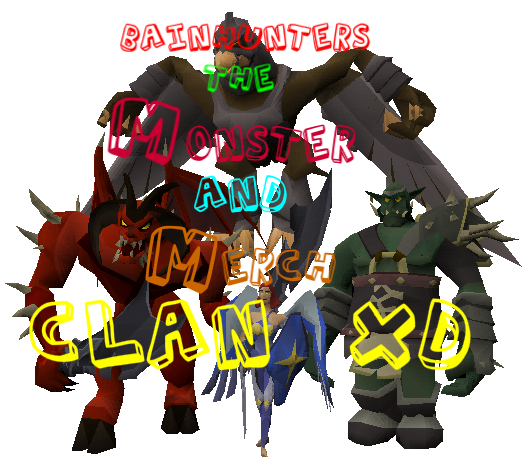 You will get loads of loots from monsters as all members will share! If not? They are jerks. Havnt you registered yet? Go do that! If you already registered , Login! Well with what i should start ? i asced R0fl can i join the clan he said shure. I started playing Bainscape because original RS started to be boring and too hard to play. AND: if someone needs material help or anything else pm me. Hobbies:Play Bainscape , code forums , edit pictures , be with friends. Z A D intro 8D! Hobbies: play bain and friends;D? Hello, this is my introduction about my self, Lets start whit it. I live in belguim, i am 15 years. my jobs are : Football PLaying pc games and normall games mountainbike. I played 1 year rs, but got hacked then i played alot of Rsps, and i found this one. I joined this clan becuz I like to be whit a clan and this is my first one.